← Cataract surgery improves survival in the elderly! Through the ORBIS Lens: ORBIS in Cameroon. 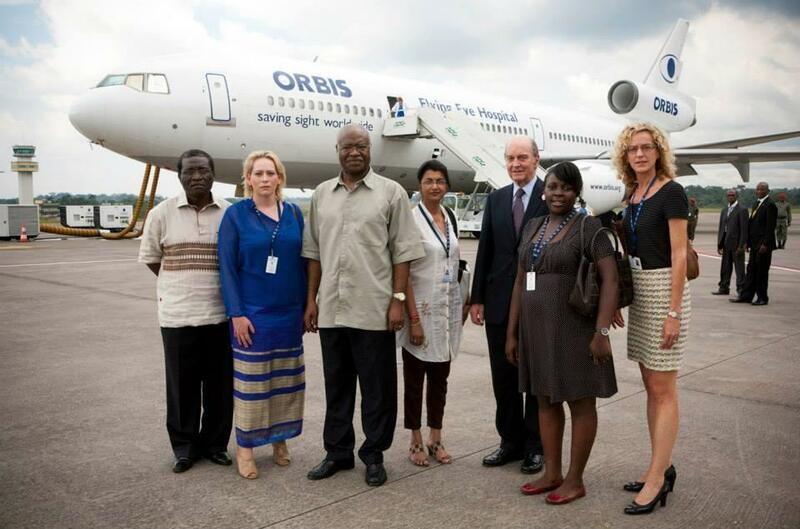 ORBIS welcomed the Prime Minister of Cameroon to visit the FEH this week. LTR: Dr Daniel Etya’ale (Cameroon Eye Institute), Ms Lene Øverland (Orbis), H.E. Philemon Yang (Prime Minister of Cameroon). Photo courtesy of Orbis International. Here is an interesting CNN report with useful insights and images of life on and the purpose of the Flying Eye Hospital’s to Cameroon. This entry was posted in Cameroon, Cameroon Eye Institute, Cameroun, Centre International de la Vue de Yaounde, Flying Eye Hospital, Orbis, Uncategorized, Yaounde Vision Institute and tagged Cameroon, Flying Eye Hospital, Nsimalen, Orbis, Yaounde Vision Institute. Bookmark the permalink.